We provide a positive environment of learning, instructed by professional, world renowned Artists and outstanding Regional Music Educators. The “How BIG Is Your Dream?! 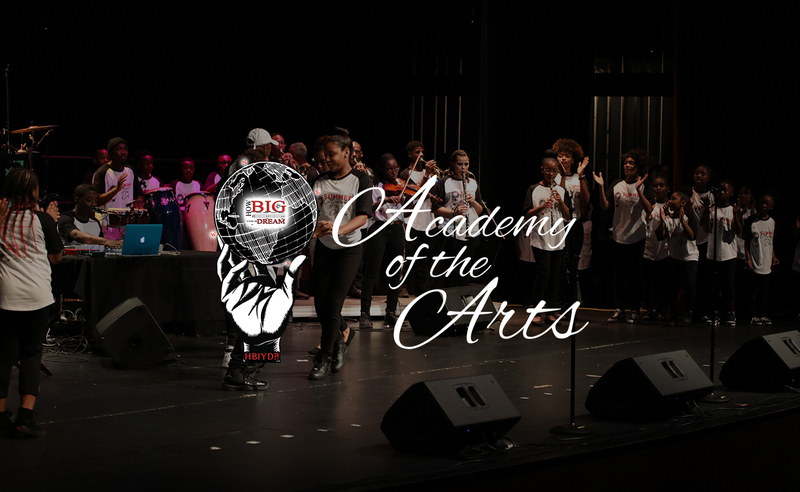 Academy of the Arts offers a comprehensive curriculum designed to encourage individuals that aspire to have a career in the field of music with instruction on various instruments, voice, dance, lifestyle management, and Reading and Math Enrichment. Jazz Band/Combo a Solo Technique – This topic is for all skill levels who want to focus on a creative approach to improvising and ensemble playing. Student artists will improve their understanding and performance of the jazz tradition, combo theory, and solo techniques. Keyboard Harmony – Student-artists will learn standard chords, how to accompany, practice sight reading, get an introduction to various styles of keyboard playing and learn about basic improvising techniques. A combination of listening and playing will be used to learn about stylistic differences of important figures in Jazz, Blues, R&B, Rock, and Gospel. Rhythm Section Ensemble Techniques (piano, bass, drums, vocals) – during this session, Student-artists will focus on dynamics, timing, transition, and tone. The function of each musician and vocalist along with improving communication skills in a group setting while performing with a band. This session also includes diverse rhythms and Percussion techniques. Vocal Specialization / Lyric Writing – Practical application and techniques of the working vocalist will improve Student-artists’ understanding of melody, lyrics, “hooks”, points of view and song logic. Solo writing as well as the concept of collaboration will be introduced. Rhythmic Dance – Practical dance techniques in genres of Jazz, Hip-Hop, Latin and African folk dance will be introduced. Student-artists will understand the dynamics in timing and tone of rhythmic movement. Choreographed dance pieces will be performed at the grand finale concert. Music Technology – Partly provided by Georgia Tech’s School of Music, this session focuses on the creative aspects of blending music and technology; which prepares the Student-artist with the ability to apply technical knowledge and skills to the composition, recording, synthesis, and performance of music; audio-visual production; scoring for film and multimedia; and software and multimedia development. Music Theory – This session guides the Student-artist through fundamental concepts that professional artists and musicians use to understand, analyze, perform, and create music. Reading and Math Enrichment – As the old saying goes, “If you don’t use it, you lose it.” To help our Student-artist avoid “summer learning loss”, reading and math concepts and skills are practiced, reinforced, and assessed according to grade level and based on the GA Milestone Assessment requirements for success. Lifestyle Mindset Set – brains and talent are just the starting point. This teaching enhances a love of learning and a resilience that is essential for great accomplishment. 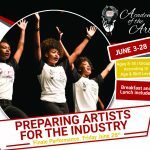 Student-artists will be able to understand the importance of being well-balanced in their arts focus area, lifestyle skills, and daily routine which will impact the entire physical core of maintaining a career of life and entertainment. Panel Discussions –. Music Environment: Student-artist will meet a panel of various industry professionals. This will provide them the opportunity to ask questions and receive insight from current day professionals.